Thank you for registering. Please contact the event organizers:rafting@swissskiclub.org regarding payment options. 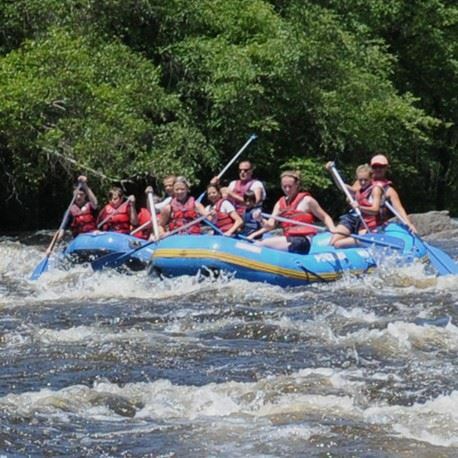 Join us for an exciting adventure - Whitewater Rafting. It’s perfect for families and first timers. It begins at Glen Onoko in Jim Thorpe, Pa in the lower Lehigh Gorge and winds its way down an 11 mile section of the Lehigh River. We will go on the Dam Release date, Aug 5. Class III. 11 miles, app 4 hours. After rafting there will be a free hot dog cookout w/hot dogs, chips, pretzels, and soda. Please purchase bus tickets in advance! Selling out quickly. >> This is a carpool event. Family Friendly.